On this website respect and care for the personal data of users. As a user you should know that your rights are guaranteed. I have endeavored to create a secure and reliable space. In this privacy statement I explain that collected personal data from my users and how do I use. I encourage you to read these terms carefully before providing your personal information on this site. Thirteen years older may register at https://www.guillemrecolons.com as users without the prior consent of their parents or guardians. In the case of under thirteen consent of a parent or guardian it is required for the processing of personal data. In no case be collected minor data concerning the professional situation, economic or privacy of other family members, without their consent. If you are under thirteen years and have accessed this website without notifying your parents you must not register as a user. On this website respect and care for the personal data of users. As a user you should know that your rights are guaranteed. I never request personal information unless really necessary to lend the services you require me. I never share personal information with anyone my users, except to comply with the law or if that has your express authorization. guillemrecolons.com has adapted this website to the requirements of the Organic Law 15/1999, profile 13 from December, Protection of Personal Data (LOPD), and Royal Decree 1720/2007, profile 21 from December, known as the Regulations implementing the LOPD. also complies with Regulation (EU) 2016/679 European Parliament and Council 27 April 2016 on the protection of individuals (RGPD), and the Law 34/2002, profile 11 of July, Services Information Society and Electronic Commerce (LSSICE a LSSI). For the purposes of the provisions in the General Data Protection Regulation aforementioned, personal data that you send me through web forms, will receive the data processing "Web users and subscribers". Data processing for my users, implement all technical and organizational security measures established in the current legislation. Principle permissibility, loyalty and transparency: I will always require your consent to the processing of your personal data for one or more specific purposes previously inform you with absolute transparency. Minimization principle data: I'm just going to apply strictly necessary in relation to the purposes for which I require. Possible minimum. Principle limitation of the storage time: the data will be kept for no longer than necessary for treatment purposes, according to the purpose, I will inform the corresponding period of conservation, in the case of subscriptions, Periodically I check my lists and will remove any registration for a considerable time. Principle of integrity and confidentiality: Your data will be treated in such a way that adequate security of personal data is ensured and confidentiality is guaranteed. You know that take all necessary precautions to prevent unauthorized access or misuse of data my users by third parties. How I obtained your data? What are your rights when you provide me your details? Anyone has the right to obtain confirmation on whether guillemrecolons.com'm trying personal data that concerns me, or not anymore. Request access to personal data relating to that person. Interested parties may to access your personal data, and to request the rectification of inaccurate data or, where appropriate, apply for suppression when, among other reasons, the data are no longer needed for the purpose they were collected. Under certain circumstances, interested parties may request limitation the processing of data, in which case only I will keep for exercise or defense of claims. The treatment is effected by automated means. By exercising your right to data portability, You have the right to have personal data are transmitted directly responsible responsible where technically possible. Those interested are also entitled to an effective remedy and to file a complaint with the supervisory authority, in this case, the Spanish Agency for Data Protection, if they consider that the processing of personal data concerning him infringes Regulation. For what purpose your personal data treatment? Contact Form: We request the following personal data: First name, Email, IP adress, to meet the requirements of users net. For example, we can use that information to respond to your request and to answer questions, complaints, comments or concerns you may have regarding the information on the web, the services provided through the web, the processing of personal data, issues relating to the legal texts included in the web, and any other questions you may have and that are not subject to contract conditions. I inform you that the data you provide to us will be located on servers CDmon (William Recolons supplier) in Spain. Subscription form to content: In this case, we request the following personal data: Email, IP adress, to manage subscription list, send newsletters, promotions and special offers, provided by the user upon subscription. Within the web there are several forms to activate the subscription. Newsletters or newsletter are managed by MailChimp. I inform you that the data you provide to us will be located on servers MailChimp (William Recolons supplier Argenter) outside the EU, and EEUU. Mailchimp is covered by the agreement EU-US Privacy Shield, which information is available on here, approved by the European Committee for Data Protection. Registration form for blog comments: To comment on blog posts net requires that the user is discharged through this form. In this case, we request the following personal data: First name, Email, Website, IP adress. Once discharged, the user can make as many comments as you like and give feedback on the above. I inform you that the data you provide to us will be located on servers CDmon (William Recolons supplier Argenter) inside of Spain. other anonymous data obtained by some cookies that are downloaded on the user's computer when browsing the web that detail in cookies policy are also collected. To manage social networks. guillemrecolons.com can have a presence on social networks. The data processing is carried out by people who become followers in social networks official pages https://www.guillemrecolons.com, shall be governed by this section. As well as those conditions of use, privacy policies and access rules pertaining to the social network as appropriate in each case and previously accepted by the user of Guillem Recolons Argenter. It will process your data for the purposes of properly managing your presence on the social network, reporting activities, guillemrecolons.com products or services. As for any other purpose than regulations allow social networks. In any case I will use the profiles of followers on social networks to send advertising individually. According to the provisions of the general regulations of European data protection (RGPD) 2016/679,William Recolons Argenter Resident enDoctor Carulla 61 Entlo 2ª Barcelona , You will be responsible for processing the data for Web users and subscribers. guillemrecolons.com not sell, rent or lease personal data that can identify the user, nor will do so in the future, to third parties without the prior consent. Nevertheless, in some cases they can be made collaborations with other professionals, in those cases, users consent will be required to report on the identity of the contributor and purpose of collaboration. Always it is done with the strictest safety standards. Remarketing allows me to reach people who have visited https://www.guillemrecolons.com above and associate a particular audience to a particular message. Remarketing is a method to get users who have visited my site again do. As a user of https://www.guillemrecolons.com I inform you that we are collecting this information for remarketing in https://www.guillemrecolons.com. The information compiled by this function is collected by cookies of different social networks. You can find the data they collect these cookies in the following privacy policies of each service and in more detail in our Cookies policy. This type of service allows interaction with social networks or other external platforms directly from the pages of this website. Interactions and information obtained by this website will always be subject to user privacy settings on each social network. Should a service that allows interact with social networks installed, It is possible that, although users do not use the service, it collects web traffic data relating to the pages that are installed. Legitimization for the treatment of your data. The legal basis for the processing of their data is: The consent. Prospective or commercial range of products and services is based on the consent is requested, but in any case the withdrawal of this consent conditional execution of the subscription agreement. Data categories covered include identifying data. In no case data categories are treated specially protected. How long I will keep your data? Personal data provided will be kept until deletion is not requested by the applicant. I use many tools to manage your data are hired by third parties. Google Analytics: an analytical Web service provided by Google, Inc., a Delaware company whose main office is in 1600 Amphitheatre Parkway, Mountain View (California), THAT 94043, U.S (“Google”). Google Analytics utiliza “cookies”, which they are text files placed on your computer, to help https://www.guillemrecolons.com analyze how users use the website. The information generated by the cookie about your use of https://www.guillemrecolons.com (including your IP address) It will be transmitted to and stored by Google on servers in the United States. Hosting: CDmon., residing in Spain. More information in: https://www.cdmon.com/es. CDmon. treats data in order to perform their hosting services to Guillem Recolons Argenter. Email marketing: The Rocket Science Group LLC d/b/a , residing in the US. More information in: https://mailchimp.com/ (The Rocket Science Group LLC d/b/a). The Rocket Science Group LLC d / b / a is data in order to make their email marketing services to Guillem Recolons Argenter. When browsing https://www.guillemrecolons.com data can be collected unidentifiable, which may include, IP addresses, geographic location (approximately), a record of how services are used and sites, and other data that can not be used to identify the user. Among non-identifying data are also related to your browsing habits through third-party services. I use this information to analyze trends, administer the site, track users' movements around the site and to gather demographic information about my user base as a whole. https://www.guillemrecolons.com is committed to the use and processing of personal data including user, respecting their confidentiality and use them according to the purpose of the, and to comply with its obligation to keep it and adopt all measures to prevent alteration, lost, treatment or unauthorized access, in accordance with the provisions of the current legislation on data protection. This site includes an SSL certificate. It is a security protocol that makes your data to travel with integrity and safe, that is to say, transmission of data between a web server and user, and feedback, It is fully encrypted or encrypted. https://www.guillemrecolons.com can not guarantee the absolute infallibility of the Internet and therefore the violation of data through fraudulent access to them by third parties. Regarding confidentiality processing, Guillem Recolons Argenter will ensure that anyone who is authorized by guillemrecolons.com to process customer data (including staff, employees and service), It will be under the obligation of confidentiality appropriate (either a contractual or legal obligation). When present a security incident, realizing guillemrecolons.com, Customer shall notify without undue delay and shall provide timely information regarding the Security Incident as when the customer knows or reasonably requested. Accuracy and veracity of data. as a user, You are solely responsible for the accuracy and correctness of the data that you send to https://www.guillemrecolons.com exonerating Guillem Recolons Argenter of any responsibility. Users guarantee and respond, in any case, accuracy, validity and authenticity of the personal data, and undertake to keep them updated. You agree to provide complete and correct information in the contact form or subscription. 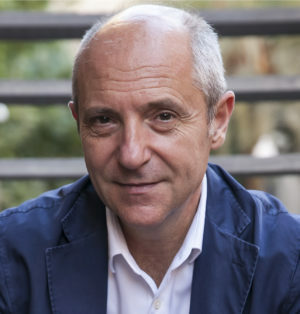 The consent given, for both treatment and for the transfer of data from stakeholders, It is revocable at any time by notifying Guillem Recolons Argenter (guillemrecolons.com) in terms of this Policy for the exercise of ARCO rights. This reversal in no case be retroactive. Guillem Recolons Argenter reserves the right to amend this policy to adapt to new legislation or jurisprudence, as well as industry practices. In such cases, Guillem Recolons Argenter announced on this page changes with reasonable notice before implementation. According to the LSSICE, https://www.guillemrecolons.com does not conduct practices SPAM, so it does not send commercial e electronically that have not been previously requested or authorized by the user. In consecuense, in each of the forms have occurred in the web, the user can give their express consent to receive the newsletter, irrespective of the commercial information requested on time. In accordance with the provisions of the Law 34/2002 Services Information Society and Electronic Commerce, https://www.guillemrecolons.com agree not to send commercial communications without identifying them properly.